Emerging Chinese tech company OnePlus has recently been in the news for their decision to merge OxygenOS and HydrogenOS. 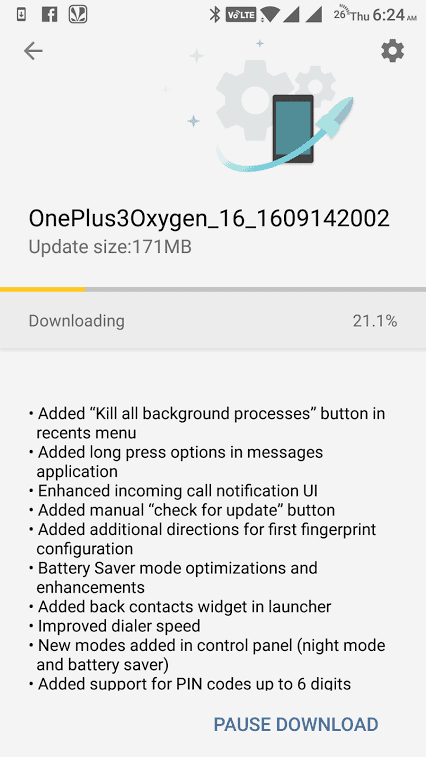 The decision was taken to streamline the updates and provide better support to users, the effect of which is apparent with the OnePlus 3 OxygenOS 3.5.2 Community Beta update. After facing a bunch of issues with the OxygenOS 3.2.4, the company has been working on beta builds for more than a month. While the changelog does not state whether the Android Pay bug has been fixed, it does highlight a list of new features and fixes. If you are already running the OxygenOS 3.5.1 Community Build from last month, the new OTA should reach you imminently. However, if you are still running the official OxygenOS 3.2.4 build, you can directly flash the latest Community Build. Open up the OnePlus Community Build page, download the 1.3GB file and flash it by following the instructions on the page. Have you flashed the latest OnePlus 3 OxygenOS 3.5.2 Community Beta already? Do keep us posted on all the optimizations, bug fixes, and new features that the update brings.